Mockernut hickory is widely distributed from "eastern Massachusetts to Florida west across eastern and central New York and northern Ohio to southeastern Iowa, Missouri, southeastern Kansas, eastern Oklahoma, and eastern Texas" (Manning 1973) (distribution map). The species occupies upland sites on ridges and hillsides. 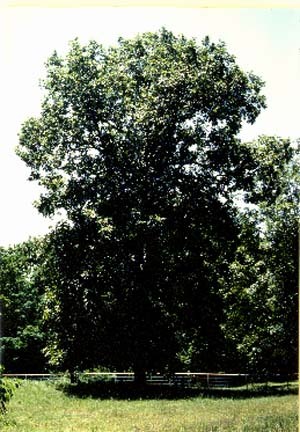 It is a major component of one forest cover type: Northern Red Oak&SHY;Mockernut Hickory&SHY;Sweetgum. It is a minor component of 4 other forest types: Post Oak&SHY;Black Oak; White Oak&SHY;Red Oak&SHY;Hickory; Beech&SHY;Sugar Maple ; and Swamp Chestnut Oak&SHY;Cherrybark Oak (Fowells 1965). Mockernut is easily distinguished by its tomentose rachises, lower leaf surfaces and twigs, which give the tree its scientific name. 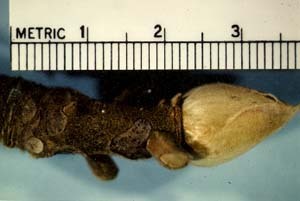 Terminal buds are large (> 1 cm) and drop their outer bud scales in the autumn to reveal the buff colored, silky pubescent inner bud scales. Twigs are stout and pubescent. Nuts are usually light brown in color and are thick shelled with sweet kernels. Husks are usually around 5 mm in thickness. Bark of trees is tight and furrowed, and light grey to grey. The thick shell of the nuts accounts for the lack of horticultural attention which this species has received. One cultivar has been named; 'Droska', a 1929 selection from Pierce City, Missouri. The tree is a stately landscape specimen when well spaced on good sites and is especially beautiful when it attains its bright yellow to golden fall color. 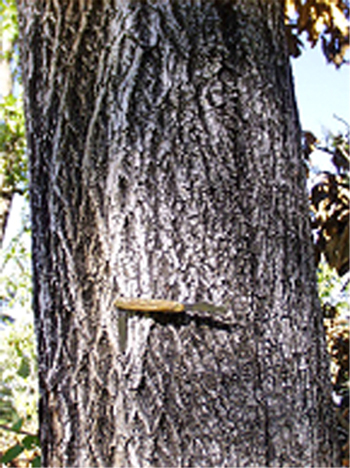 The tetraploid mockernut is reported to cross with the tetraploid black hickory to form C. X collina Laughlin. 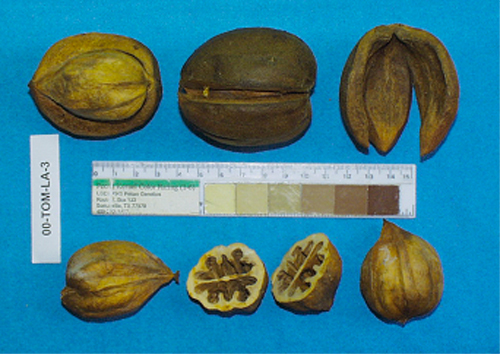 Putative hybrids between mockernut and diploid species include C. X schneckii Sarg. 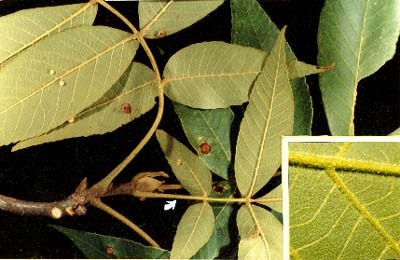 (mockernut X pecan) and the cultivar 'Siers', described by Reed (1944) as a hybrid between bitternut and mockernut.